Jordan is a zealous advocate for his clients, working tirelessly toward trial readiness while looking for nuances and openings that might resolve issues outside the courtroom. Jordan litigates product liability and toxic tort cases for many of the world’s leading manufacturers of specialty chemicals, petrochemicals, paint and coatings, and industrial and consumer products. Jordan has defended mesothelioma and lung cancer cases in dozens of jurisdictions across the country. Overseeing the day-to-day management of hundreds of active cases, he develops defense strategies; manages discovery; and deposes fact witnesses, experts and physicians. Jordan is skilled at mastering the technical intricacies of cases, learning about clients’ businesses, studying their histories and helping them craft the best solutions for their needs. Jordan chose the law in part because of his work with the homeless and urban poor as an undergraduate. He saw the law as a way to bring about important change. After years of pro bono service with various nonprofit entities in the St. Louis region, and with the firm’s enthusiastic support, Jordan helped launch the firm’s Nonprofit Organizations & Religious Institutions team. In this role, Jordan has advised nonprofit and religious clients on a variety of issues, from litigation and employment disputes to tax and real estate issues. A client, an anesthesiologist, faced charges of medical malpractice and wrongful death. The plaintiff hired an expert who had testified in hundreds of cases. Jordan reviewed thousands of pages of deposition and trial testimony from those cases and found prior testimony in which the expert contradicted his opinion in the pending litigation. At trial, the expert stated that his prior testimony “made no medical sense” and that the source was “misinformed” – before learning that the opinion he was critiquing was his own. Won $1.65 million settlement on behalf of developer in Leon County, Florida, in suit alleging breach of contract and fraudulent misrepresentation. Obtained dismissal of federal lawsuit involving allegations that law firm's advertisements violated the Lanham Act and various federal and state rules of professional conduct. Served on trial teams for toxic tort litigation in Illinois, Missouri, Texas, Massachusetts and Pennsylvania. Obtained dismissal of copyright infringement action against Fortune 500 energy company pending in U.S. District Court, Eastern District of Missouri. Briefed and argued e-discovery dispute in the Superior Court of the State of Delaware, New Castle County, saving client more than $1 million in discovery costs. Represented two plaintiffs in separate fraud cases; between the two matters, secured and collected more than $2 million in settlement payments. Won class action status for lawsuit against the Missouri Department of Corrections on behalf of inmates sentenced to life imprisonment as juveniles. Suit alleged that department ignored due diligence for inmates. Jordan is an accomplished pianist who accompanied the Bel Canto Women’s Ensemble in St. Louis for seven years before moving to Jefferson City. A life-long United Methodist, he still plays for services at his church. 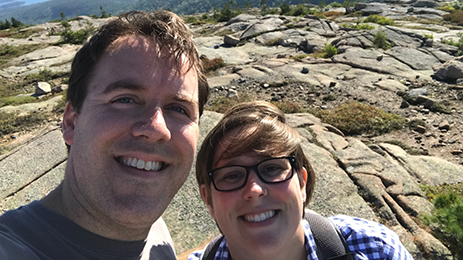 He and his wife, a United Methodist pastor, have a young daughter, and their passion for travel takes them to scenic locales around the country where they can find great hiking and great food. Jordan and his wife, the Rev. Chelsey Hillyer, hiking at Acadia National Park in Maine. 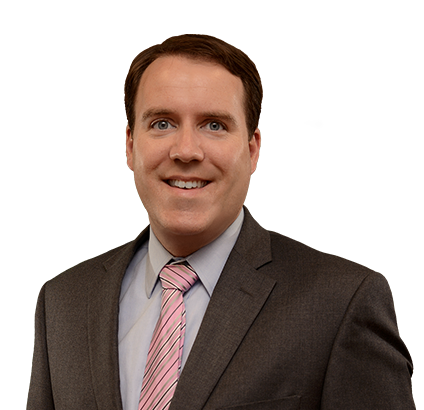 Jordan is generous with his legal knowledge and has handled numerous pro bono cases throughout his career. He counsels clients on a variety of legal issues through the firm’s relationships with Grace Hill Settlement House, Legal Services of Eastern Missouri and other organizations. As part of his commitment to pro bono work, he served as vice chair and chair of the Missouri Bar’s Access to Justice Committee.